Quorn Juniors Football Club takes safeguarding extremely seriously. The club continuously work to make the game as safe and enjoyable as possible for everybody. The works under the guidelines set out through the County and national FA. A clear safeguarding strategy has been put in place by the club to protect people involved in the local grass roots game. It is complete with policies, procedures and regulations. Every club in the country must adhere to the policies which are set out by the FA. If not, they face sanctions, including suspension from playing. Policies include the mandatory appointment of a Club Welfare Officer for every league or club with youth teams. There is also a requirement for specified club committee officers to complete the free online ‘Safeguarding for Committee Members’ course. Welfare Officers must have an FA-accepted Criminal Record Check, which has to be renewed every three years. They must also undertake regular FA-approved safeguarding training. With the club committee’s support, Welfare Officers ensure the appropriate checks and training are completed for anyone at the club working with children and young people under the age of 18. All assistants/helpers will be DBS checked and must have an up to date Safeguarding qualification. All DBS checked staff will be issued with a Club Lanyard, these must be worn and be visible at all sessions. 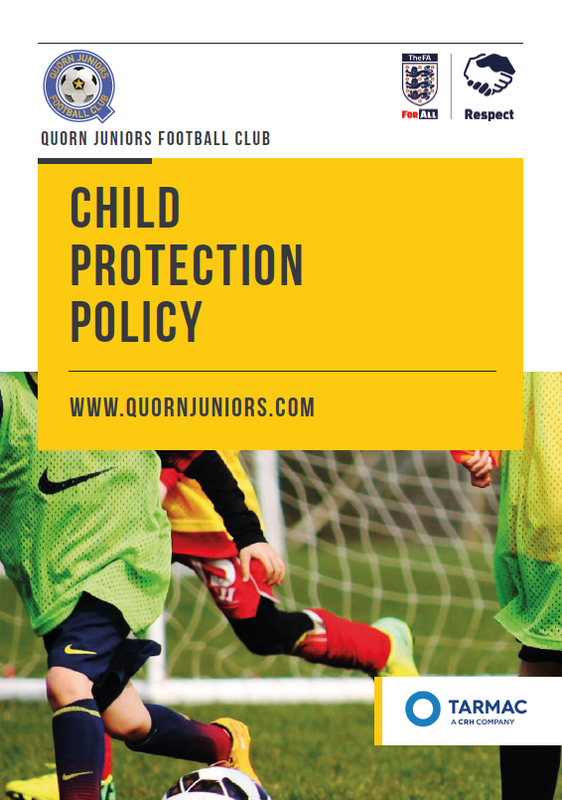 Below is a short video of a current campaign being run by the FA and a PDF of our Child Protection Policy which includes the contact details of Becky Godrich our CWO.